Petsitting is one of my joys. 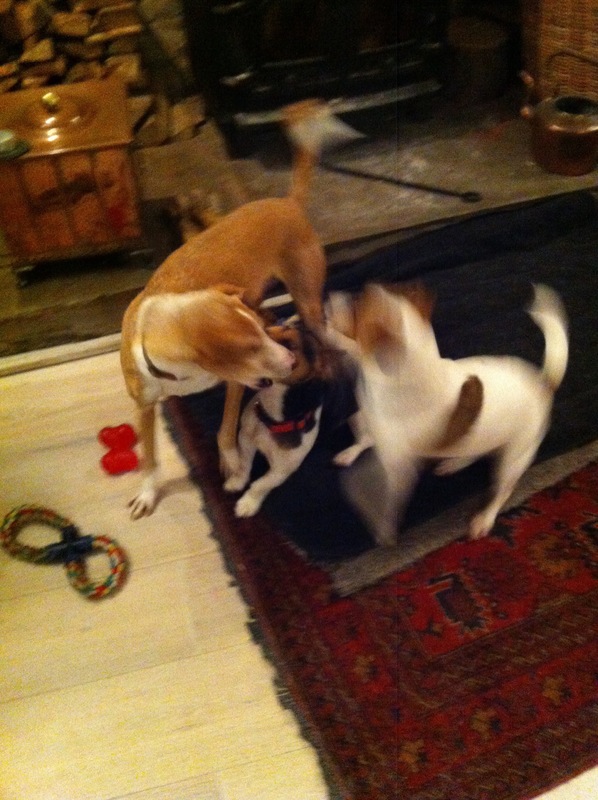 The first time we petsit Billy, Barney and Betsy was glorious. The weather was fine and those dogs are just such a joy to be with. So my time was basically divided into dog walking, playing with the tireless dogs, dog petting, and crochet. I realise the colour scheme is not quite Billy, but I had to make do with the available wool. All in all I thought it was a nice result, because I was doing it by heart. This entry was posted in Crochet, House sitting by martineclausen. Bookmark the permalink.